Along with being a vessel for hatred and the philosophy which came from it, second wave black metal was built as an expression of naturalism, some kind romanticism and reverence for the beauty and awe of the land which surrounded them. In Norway, this meant fjords, fog, snow, winter. These are the essence of black metal’s picturesque nature, what eventually gave way to words like grim, frostbitten, and so on. There are places like that here in the United States, but the sheer landmass and incredible variety of weather systems, terrain, and temperatures make our music less sono-visually cohesive as a whole. This makes way for the uniqueness of a band which sounds like a place within a place, a representation of a locale or smaller region. Though meant to be something more philosophically isolated, concentrating on Luciferianism, the damnation of society, and more, Eosphoros‘s hatred manifests as the sound of the temperate Pacific Northwest rainforest they call home. Listen to an exclusive premiere of “Dross” below. A single word which could describe the atmosphere of “Dross” is wet. A dripping humidity casting green shapes upon an empty forest floor. A lot of this can be attributed to the larger presence of bassist AD, whose volume holds as much of the floor as JG’s guitar. It sounds like that feeling of moisture after rainfall, under tree cover. 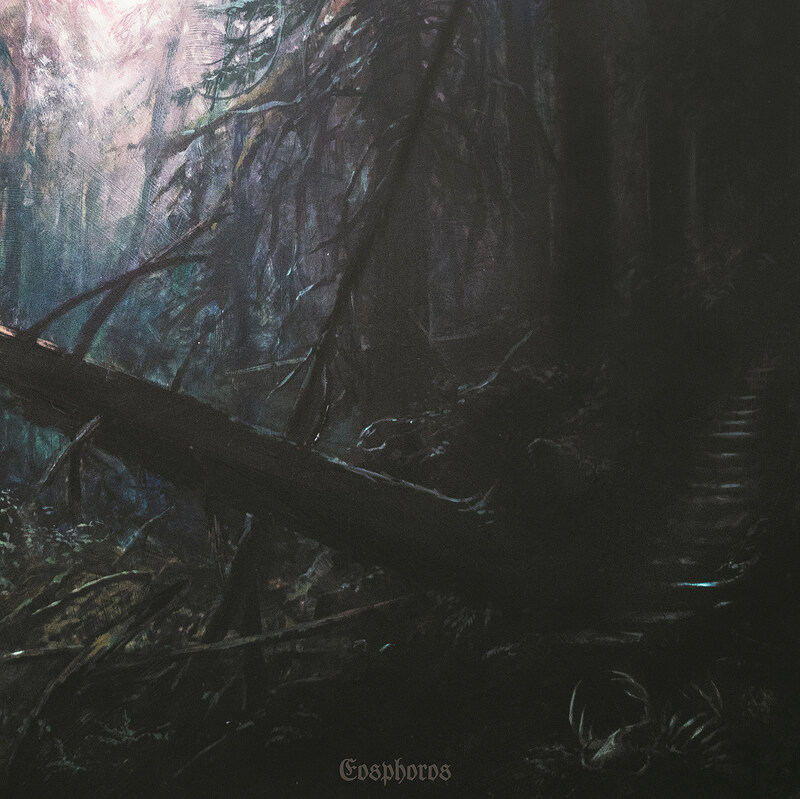 In the context of the rest of the band’s ferocious black metal, this heavier bottom end adds a vast depth to Eosphoros’s heavy, hypnotic black metal. There are no bells and whistles, nor do there really need to be. This is a lean beast, utilizing all of its parts with efficiency and sleekness. Of course, this verdance is also coincidental. AD’s shared volume is meant to be more like a tool of power than beauty. This is a band meant to play live — a power trio who takes no prisoners when it comes to ferocity. There is volume added to the bass because it is just as important an element as everything else, filling the cracks with its oozing velvet. What results is pure isolationism, a misanthrope meditating on hatred far and away from mankind. In the Pacific Northwest, this could very well be in a forest somewhere, but that is merely where one can be alone. Make no mistake: Eosphoros do not worship nature like their local peers — this reverence is different. The forest is where one can be away from god, away from people — where one can, according to old lore, live within the devil’s own kingdom. Eosphoros’s self-titled album will be released by Iron Bonehead Productions on October 12th.